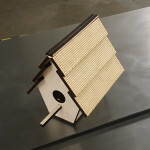 Team up with your preteen for a high tech project, and add life to your backyard with this easy-to-assemble bird home. Hang it from a tree, mount it to a fence, or place it on the top of a pole in the center of your yard and you’ll have a pair of nesting birds in no time. 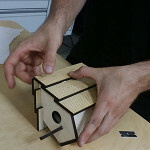 Paint your birdhouse to give it extra durability for rainy days. • 2 pieces of 1/4” thick 24” x 4” basswood or wood of your choosing. 1) Take the Laser Cutting and Etching class at Urban Workshop: Get familiar with the laser system at Urban Workshop – you don’t have to be a member to take this 2.5-hour class! 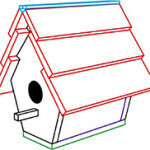 2) Select the Bird Home file and let the laser do the work: At Urban Workshop the Epilog Laser System computer houses the bird_home.cdr file, which contains all the necessary pieces for your bird home, so be sure to click the combined mode button in the driver window. (We used a 35-watt Mini 24 with the following settings: 40% speed, 100% power for engraving and 7% speed, 100% power, 500 frequency for cutting.) 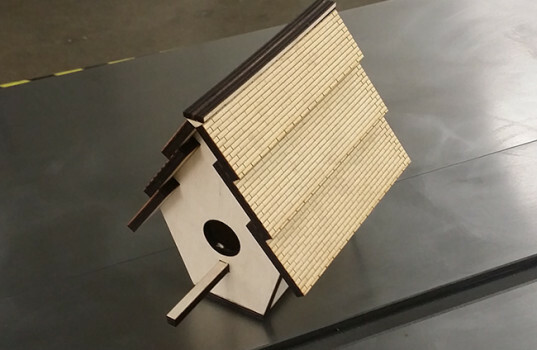 Note: If you want a colored bird home, paint the wood the desired color before putting it into the laser system. 3) Glue the pieces together: Follow the above color-coded illustration to piece together the bird home using your wood glue. Urban Workshop, located in Irvine, is a community-centered, membership-based D.I.Y. workshop and creative environment with supportive staff and access to tools such as 3D printers, laser cutters and vinyl cutters, and CNC mills, plus a welding shop, wood shop, machine shop, textiles area, electronics lab, and computer lab – along with software and workspace. Never used most of the tools and equipment Urban Workshop has available? No problem. Urban Workshop offers training on every piece of equipment in the facility. You can make nearly anything! What will you make? 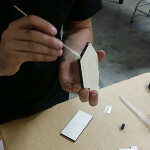 Find out more by visiting urbanworkshop.net or calling (949) 296-2153.